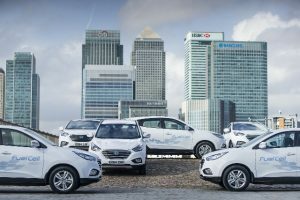 An ambitious multi-country, multi-partner project will demonstrate that hydrogen can support Europe’s future transport demands has launched. The project will demonstrate that hydrogen can support Europe’s future transport demands. The project has been developed under the Hydrogen Mobility Europe (H2ME) initiative and is supported by the Fuel Cells and Hydrogen Joint Undertaking (FCH JU) with funding from the European Union Horizon 2020 programme. The H2ME 2 project takes its name from the Hydrogen Mobility Europe (H2ME) initiative which aims to coordinate European activities and helps support the early roll-out of hydrogen vehicles across Europe. The H2ME 2 project will complement and build the H2ME 1 initiative, which was announced in September 2015 and sets out plans for 300 fuel cell vehicles and 29 HRS.